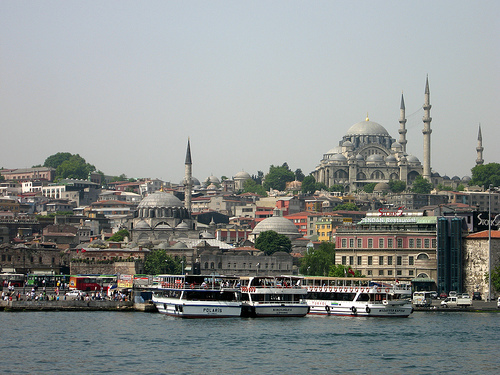 The 8th International Ecocity Conference (Ecocity World Summit), will be held December 13 -15, 2009 in Istanbul, Turkey. Ecocity 2009 will bring together visionary architects, planners, designers, policy makers, green businesses, nonprofits and civic leaders. The conference will stream live feeds from the UN Climate Change Conference in Copenhagen, connecting the pivotal issue of ecological urban development to the overarching goal of reducing worldwide greenhouse gas emissions. While cities are the single largest source of carbon emissions contributing to climate change (responsible for 75% of global emissions), city dwellers on average have lower carbon footprints per capita than their rural counterparts because they rely much less on cars. According to Richard Register, founder of Ecocity Builders, redesigning cities in balance with nature could reduce a city’s carbon emissions by 90%. First held in Berkeley in 1990, this year’s Ecocity World Summit follows previous annual conferences held in Australia, Senegal, Brazil, China, India and San Francisco. This year Ecocity Builders will produce The Ecocity Challenge, a special four-hour session where conference participants will begin to define internationally accepted principles and metrics to evaluate the performance of ecocity projects worldwide. Participants will be joining an international community of inspired thought leaders to create viable solutions that are sustainable, healthy and socially just. Register or learn more at https://ecocity2009.com.